In January 2016, Natick Public School District was invited to the Massachusetts School Building Authority (MSBA) grant program. An invitation into this grant program was determined, partly, following a site visit to Kennedy Middle School by the MSBA. WHY REBUILD KENNEDY MIDDLE SCHOOL? 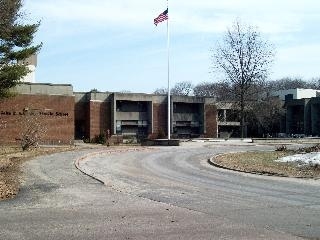 Constructed in 1965, Kennedy was designed to accommodate an enrollment of 554 students. However, the school currently serves 667 students, with enrollment rising annually. After the initial site visit, it was determined that Kennedy is one of the buildings most in need of repairs in the Commonwealth. Additionally, a master building study—completed by Dore and Whittier Architects, Inc.—found that in order to bring the current building up to code (and conduct all necessary repairs) the Town of Natick would be solely responsible for the $20 million * cost. However, by working with the MSBA and coordinating this upgrade through its program, Natick will benefit by providing the community with a new school at a fraction of the cost. In our case, the Town would be reimbursed between 40-49% for all eligible costs for this project as determined by the MSBA. *note: the $20M renovation-only estimate was based on early projections. Throughout the process, this projection has changed to be $50-55M. Renovations would work to improve undersized classrooms, science rooms, and increase the number of self-contained special education rooms. Two story classroom wing containing 14 general education classrooms and two (2) self-contained special education classrooms on the north side of the existing building. Two story wing containing a new cafeteria and four (4) science classrooms on the east side of the existing building. This option consists of demolishing and rebuilding the new school on the existing land. The new structure will be code compliant, with the ability to accommodate 1000 students in 30 classrooms and 8 science rooms.